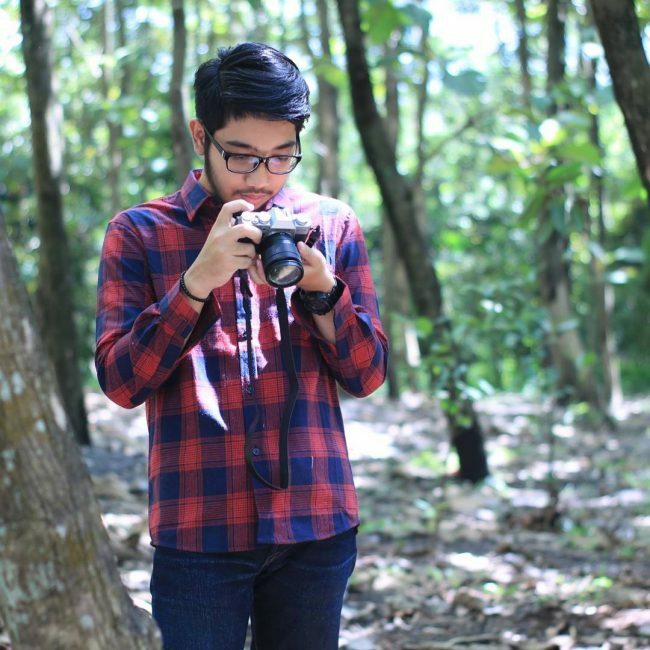 The red flannel shirt is most men’s favorite clothing item, and this is more so during winter and fall. This shirt has all the qualities that a man can ever wish for and to top everything up the material makes it quite warm. 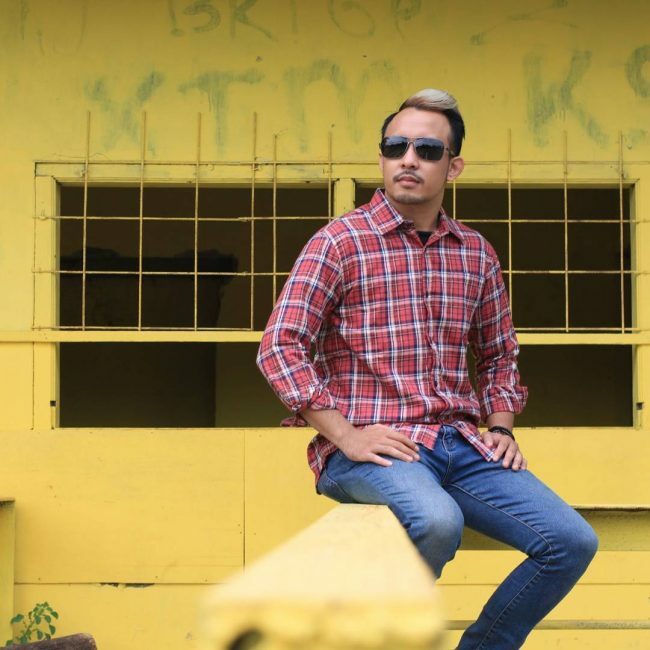 The color and the check patterns also make it very versatile which means that you can wear it with almost anything that you want. 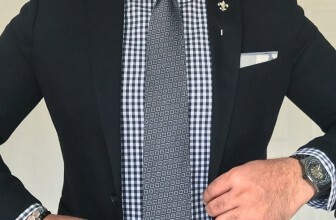 But, just like with any other kind of shirt you need to figure out the best ways to dress it so as to avoid an awkward look and to ensure that you always stand out. And for this, you should check out the picture gallery below for some ideas. 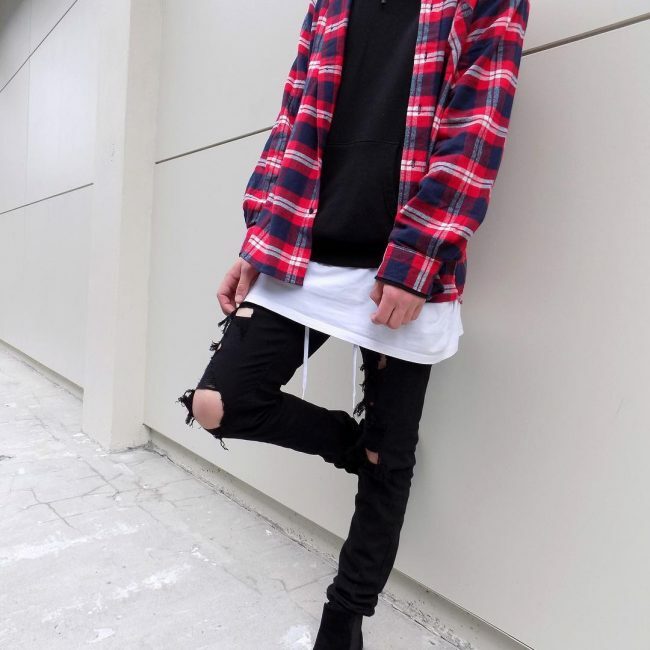 This flannel shirt has some large check boxes and many colors that include pink, black and white which means that you can wear it with almost anything. Here the gentleman keeps the buttons down to expose his beautiful white t-shirt and accessorizes the look with a baseball cap and sunglasses. 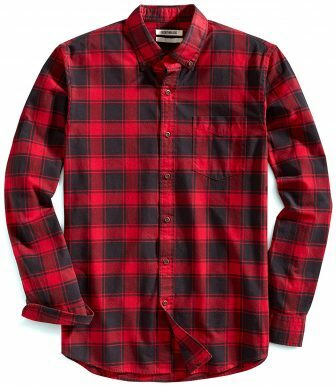 Although this is still a red flannel, the black boxes give it an overall dark tone. It has double pockets and a modern fit, and the man pairs it with black pants. 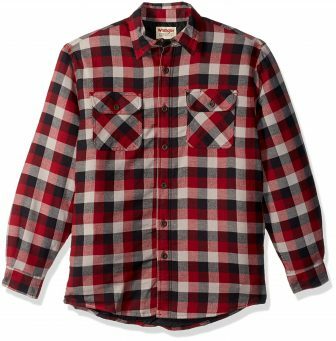 Most red flannels tend to have black boxes, and this is because the two colors are always a perfect blend. 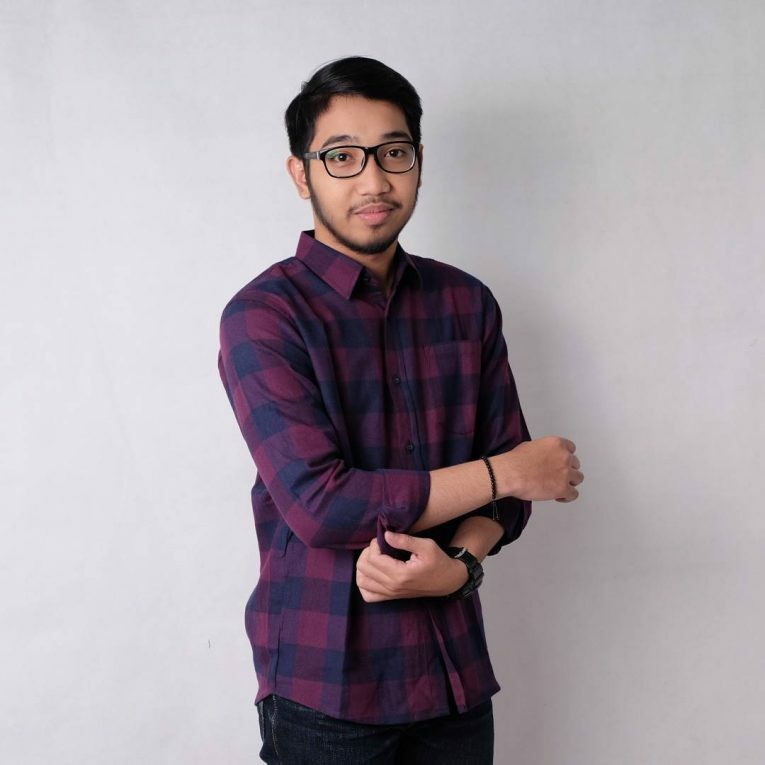 This particular shirt also has a clean and formal look, and the guy pairs it with light blue selvage and wears it with the sleeves folded. 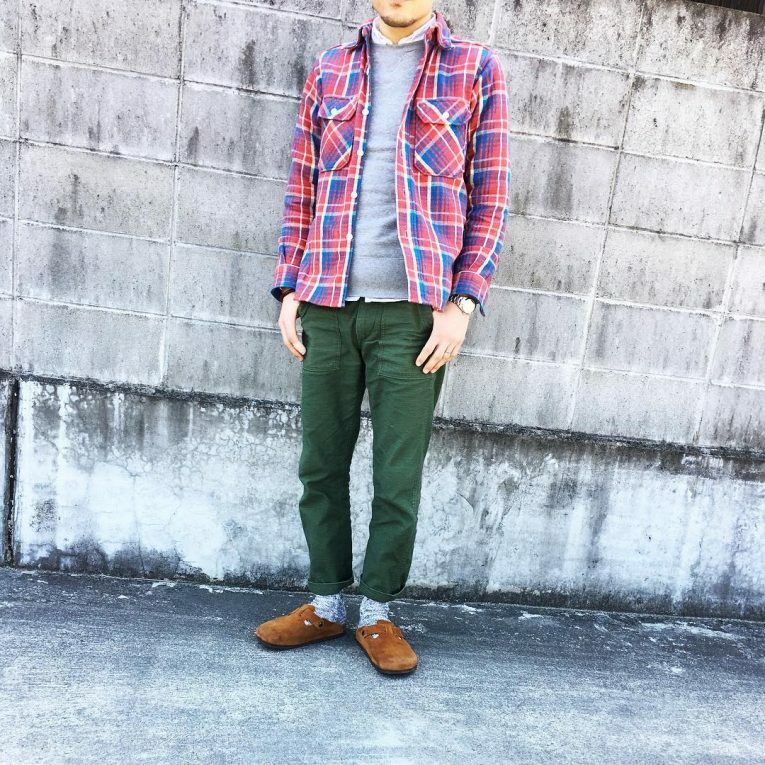 This adorable look also entails matching the red flannel with raw denim pants. 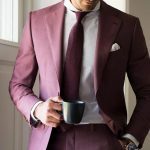 The shirt has other colors like green, white and black which give it a fabulous look and the gentleman finishes the look with a simple jacket and shiny brown dress shoes. 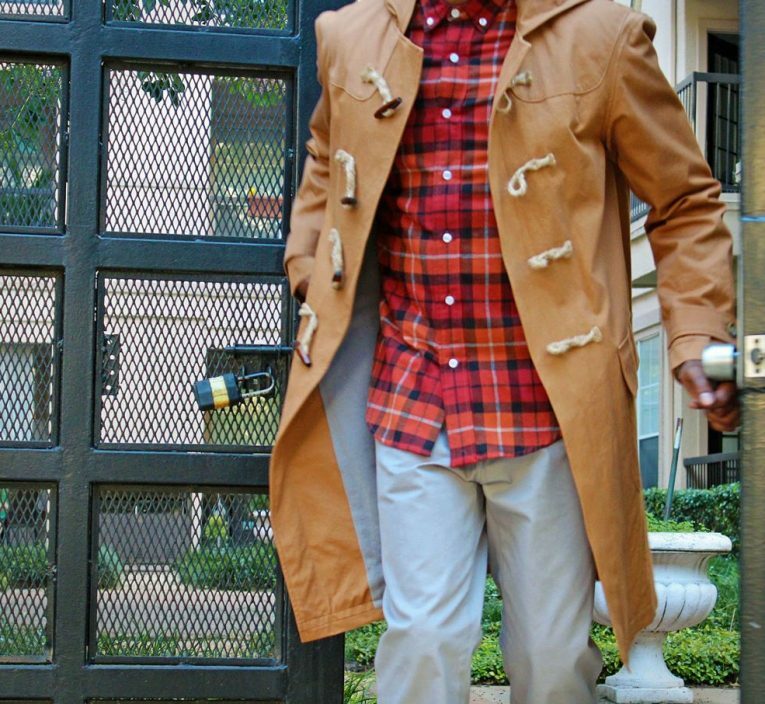 Here is a look that every man should wear over the weekends. 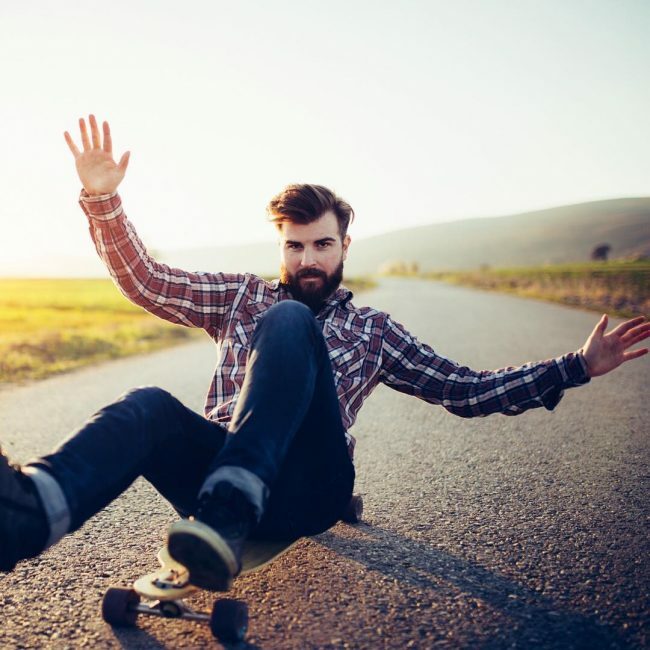 It is an effortless look that keeps the buttons on the flannel shirt unfastened to show off the cute t-shirt and pairs it with blue jeans and red sneakers. 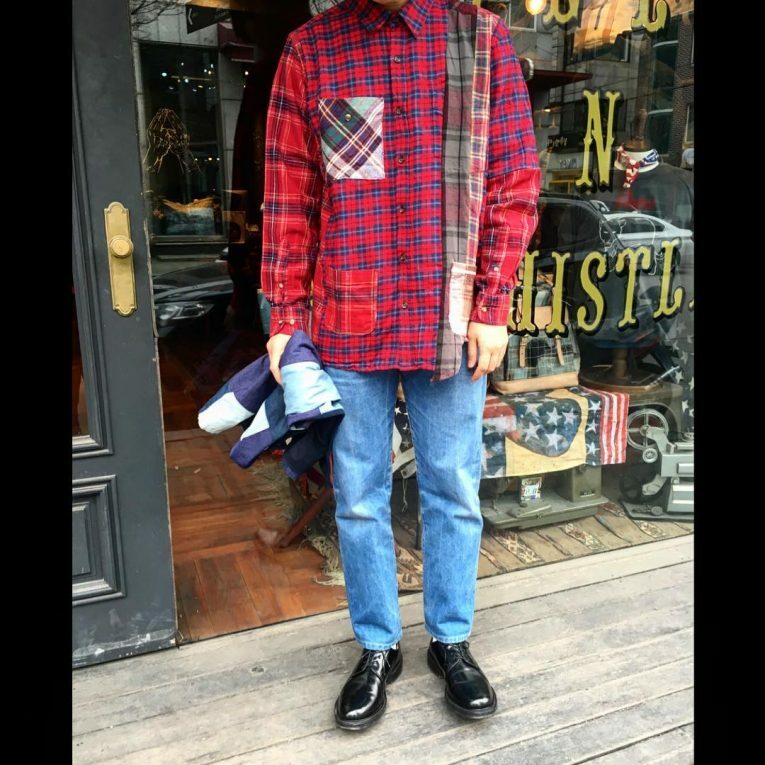 The blue sections on this flannel shirt match with the color of the jeans, and this helps to give the man an attractive appearance. 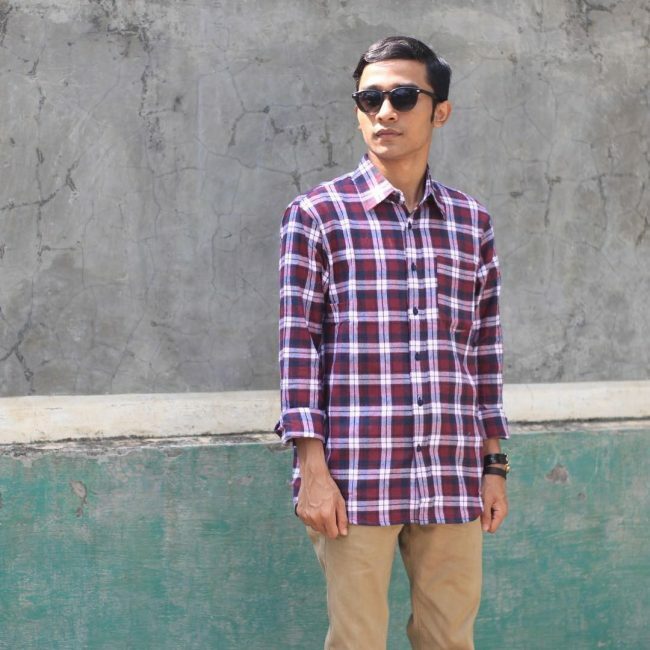 The shirt also has a simple design and a perfect fit which makes it an excellent choice for the weekend. 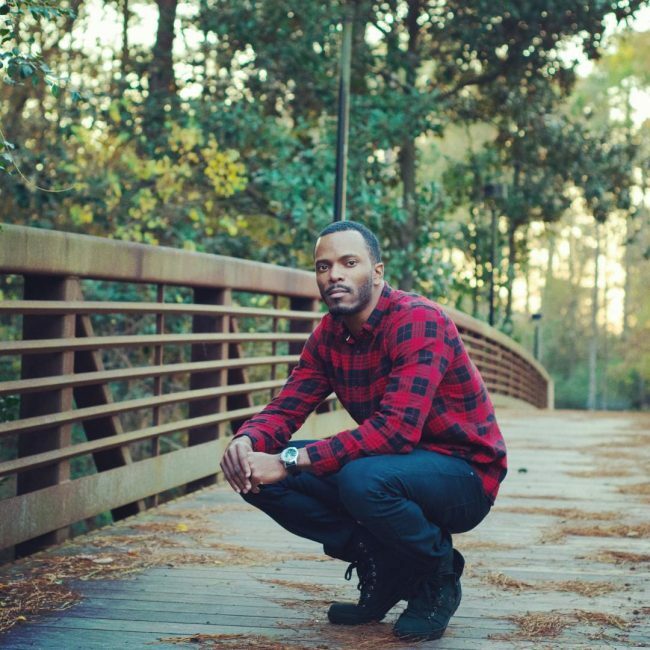 How you dress your red flannel shirt is what determines how attractive you will look. 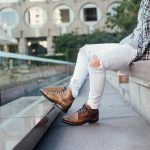 In this outfit, the man pairs it with tight blue jeans, but the introduction of the black boots to the look is what makes him stand out. 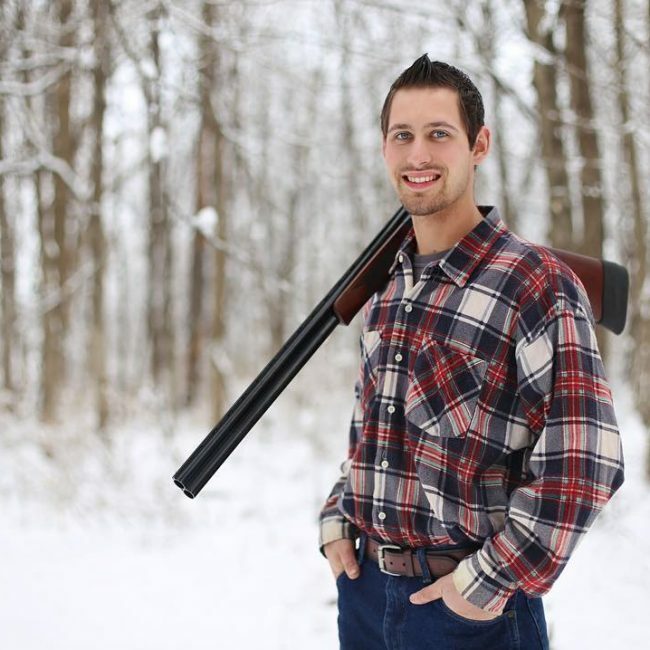 This look is what you would expect to see with woodchoppers. 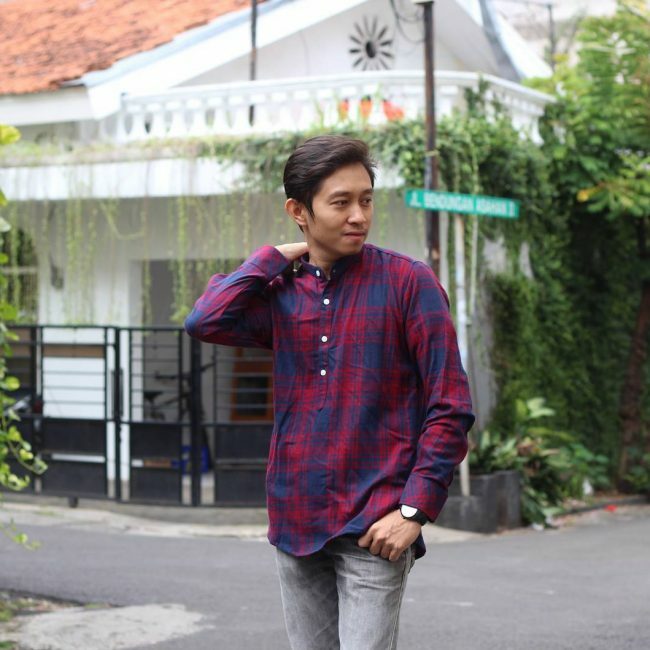 It entails pairing the flannel shirt with a simple pair of jeans and keeping the shirt tucked in. 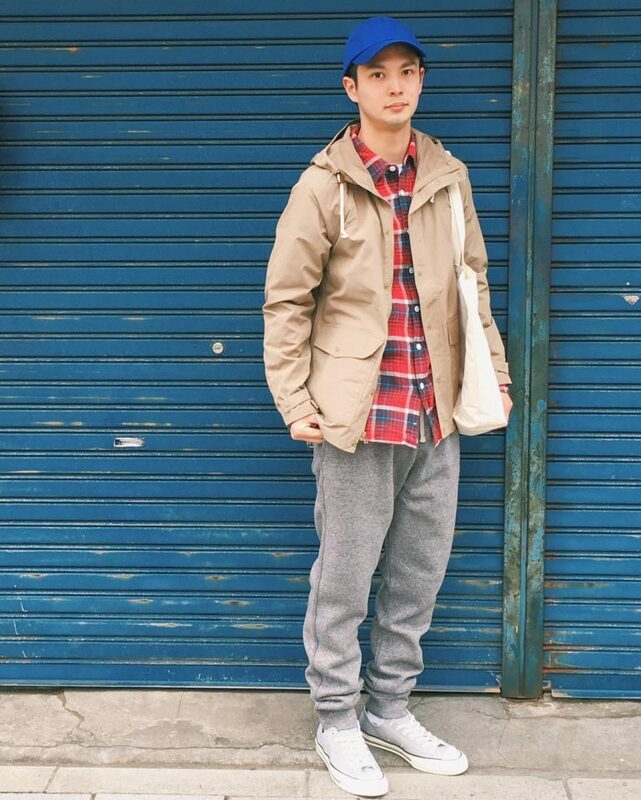 These cream sweatpants have an attractive design and color, and they seem to pair well with the plaid shirt. 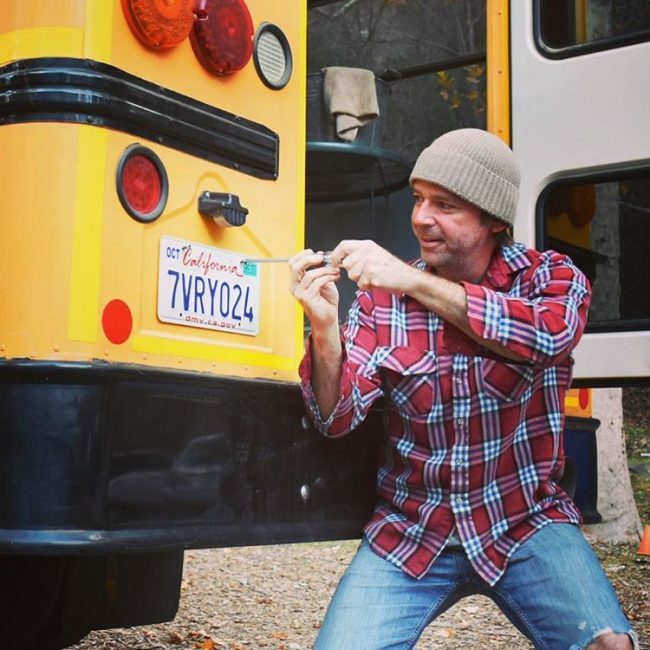 The man also spices up the appearance by wearing fluffy college jacket. 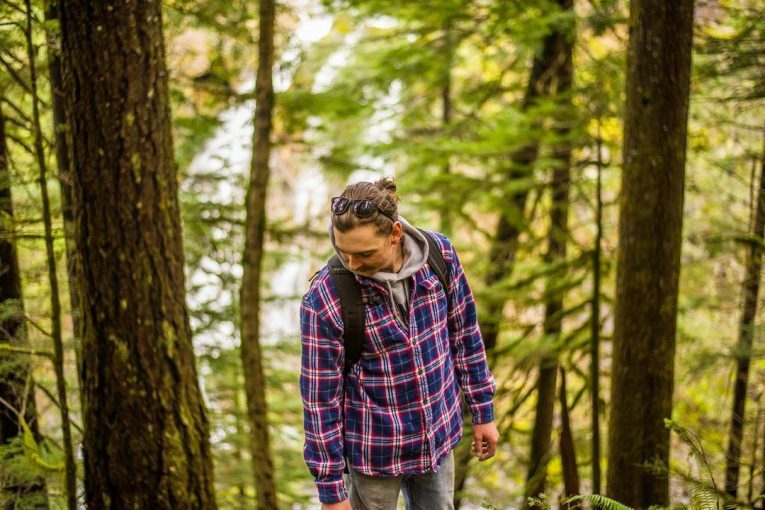 The stripes and check patterns on this flannel give it a beautiful appearance. 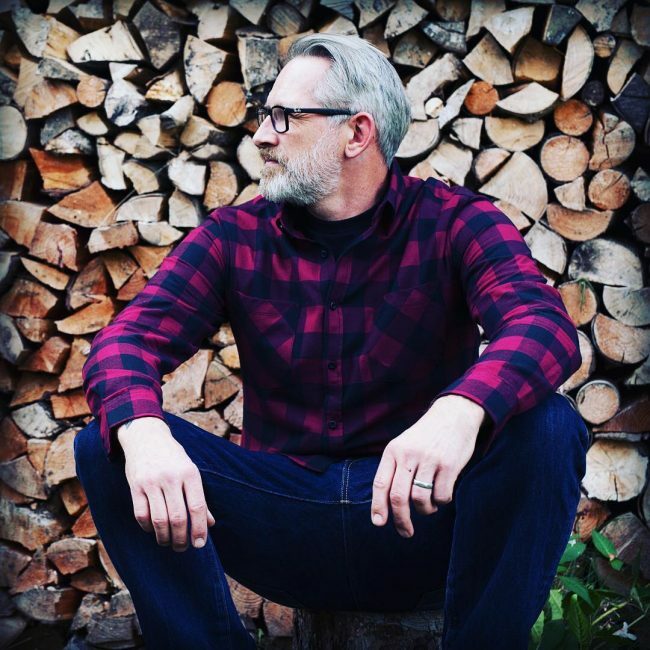 This shirt also goes well with the rugged black jeans and the gentleman fastens the buttons up to the top for a unique appearance. 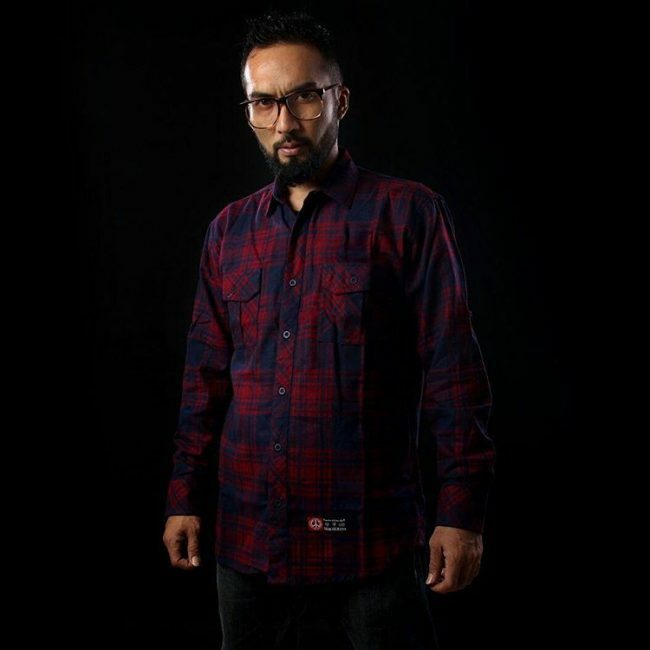 Blue and red also make a perfect combination, and they are what give this shirt its beautiful check patterns. 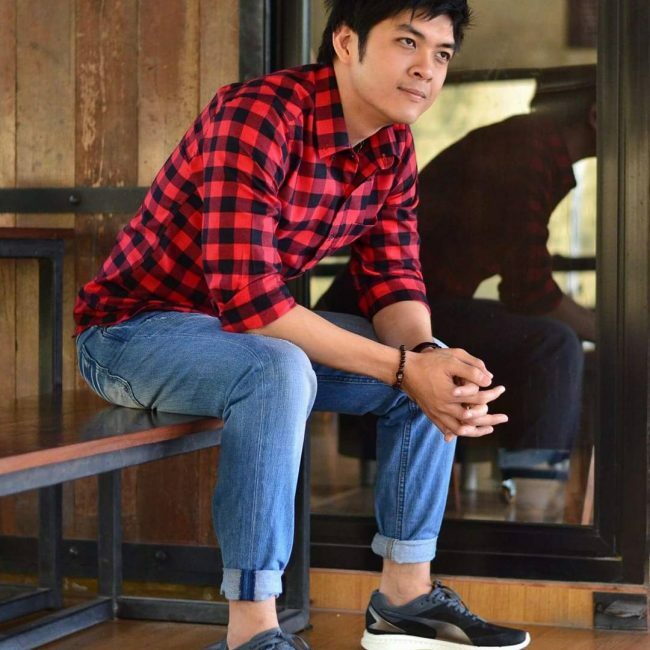 The shirt combines with the gray jeans to give the guy a simple but beautiful weekend look. 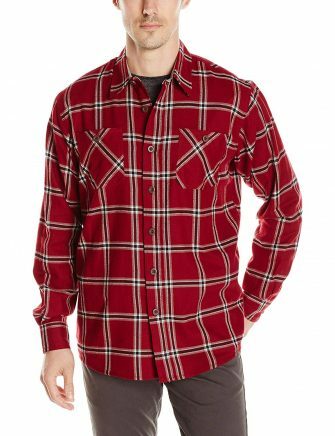 The clean and modern look of this red flannel shirt is what makes it a must have. 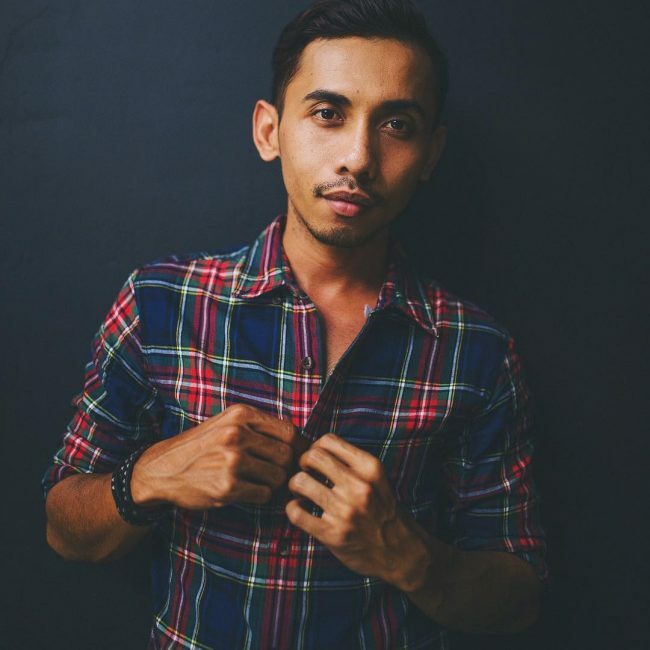 It also matches well with the blue denim pants to make the man look classy. The shade of red on this shirt is dark, and this is what makes it look different. 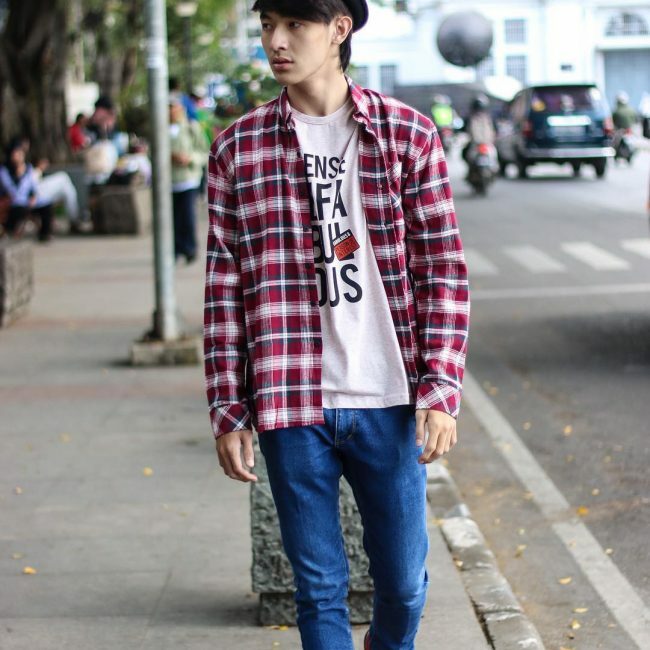 This plaid also has a perfect slim fit, and it is suitable for wearing with raw denim and sneakers like in this look. 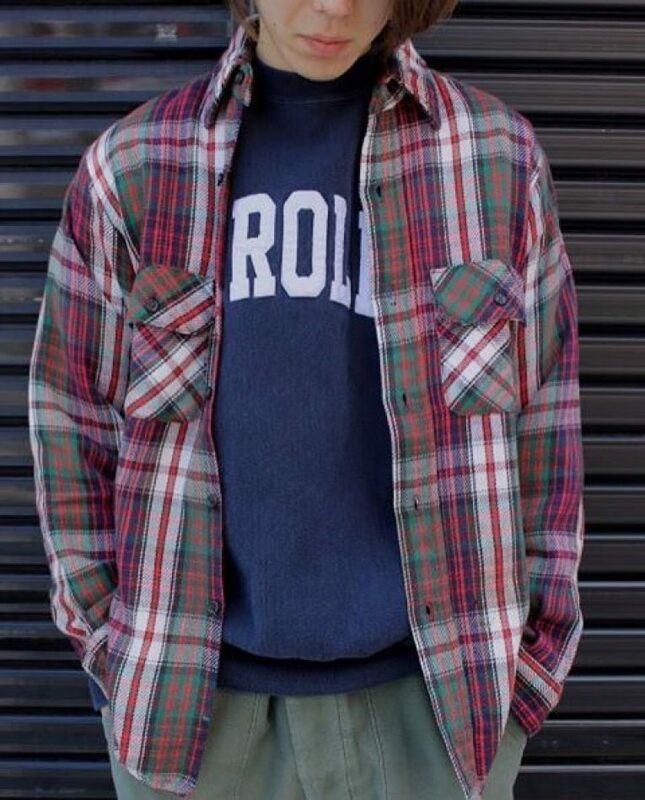 Flannel shirts are perfect for wearing during winter because they are warm and this is more so if it is a heavy one like this. Blue is the dominant shade of this shirt, but it also has some red lines, but the best thing about it is that you can wear it with any color jeans. It is hard to choose one thing that makes this an outstanding look because everything is just perfect. 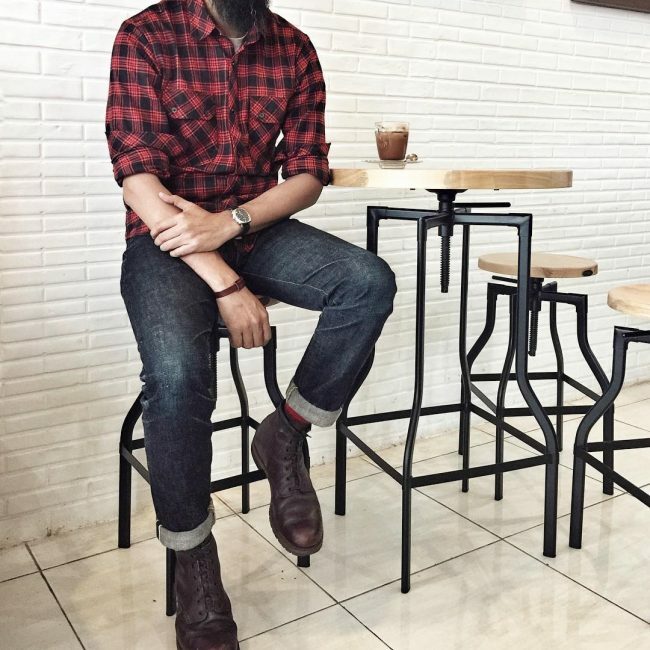 The look pairs a plaid shirt with selvage jeans and some Red Wings boots to create a glamorous appearance. 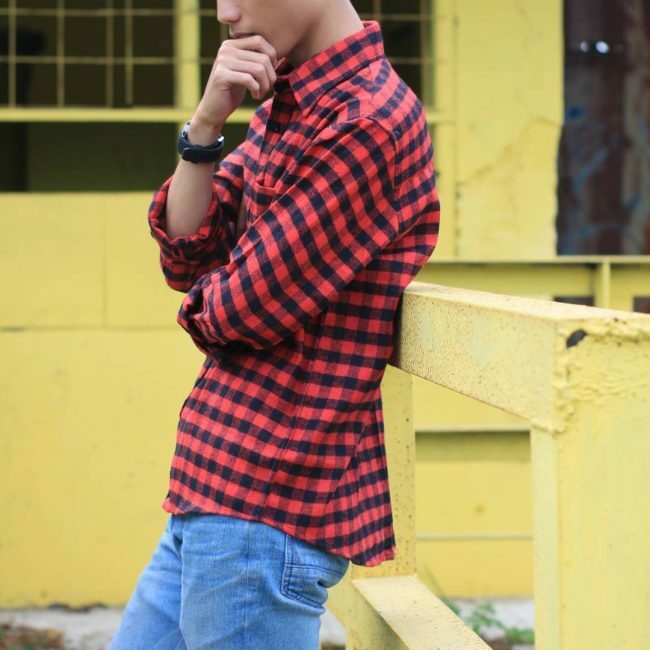 The brightness of this plaid shirt is fantastic and will make any man look and feel amazing. But, it also has some nice flap pockets and the guy wears it with distressed pants. Skinny jeans are the perfect weekend wear, and they never seem to go out of trend. This black pair goes well with all the button down flannel shirt and low top sneakers to create a relaxed outdoor appearance. 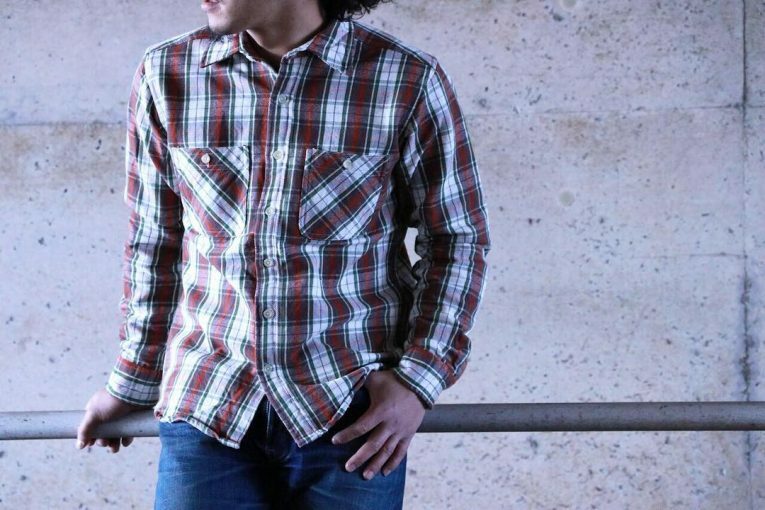 Men love colorful shirts as they can wear it with numerous types of jeans. 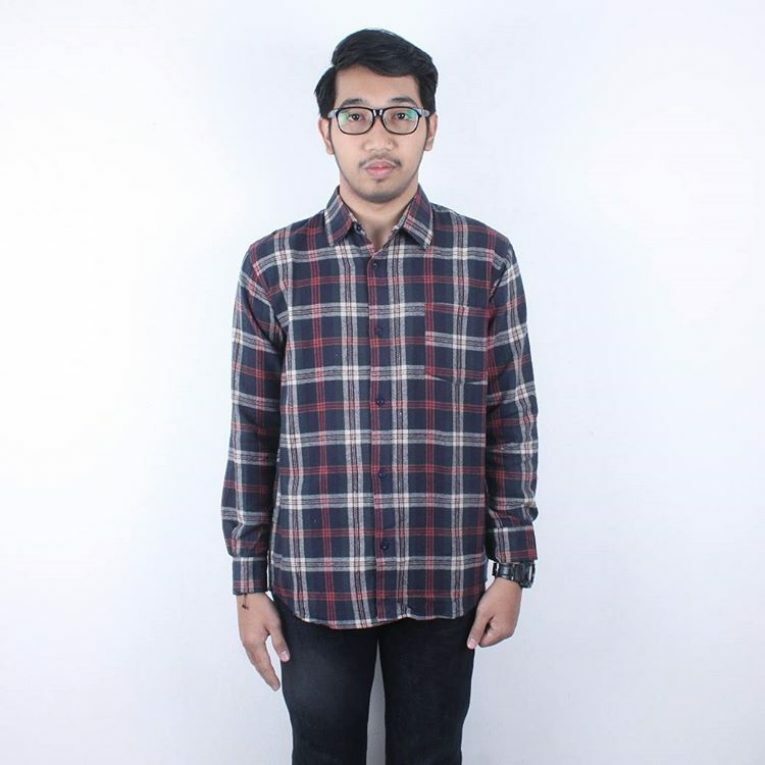 This shirt is a perfect example of how attractive and classy a multicolored flannel can look. But, it also comes with a slim fit that many men will love. 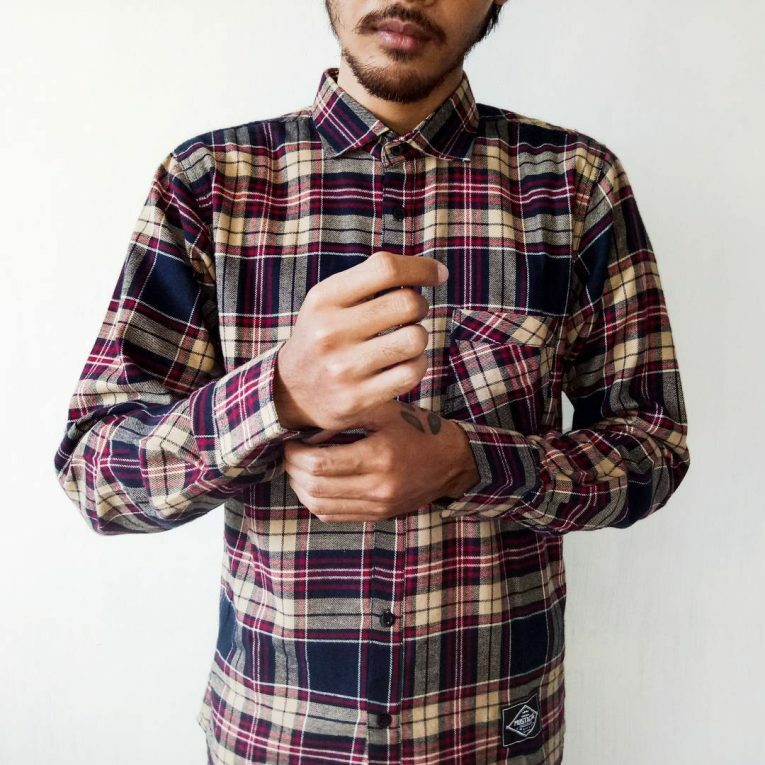 The color combinations on this shirt give it an attractive and vintage looking appearance. 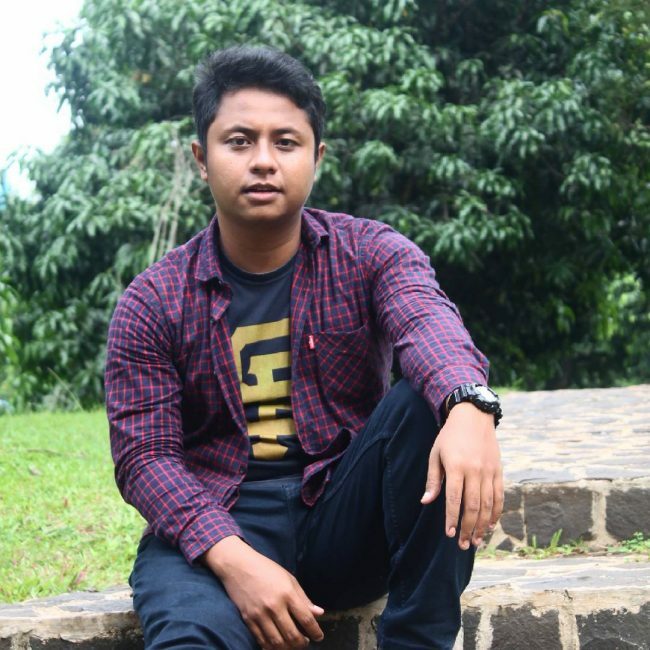 It has an excellent fit, and it looks fantastic with the selvage jeans and the cute white sneakers. 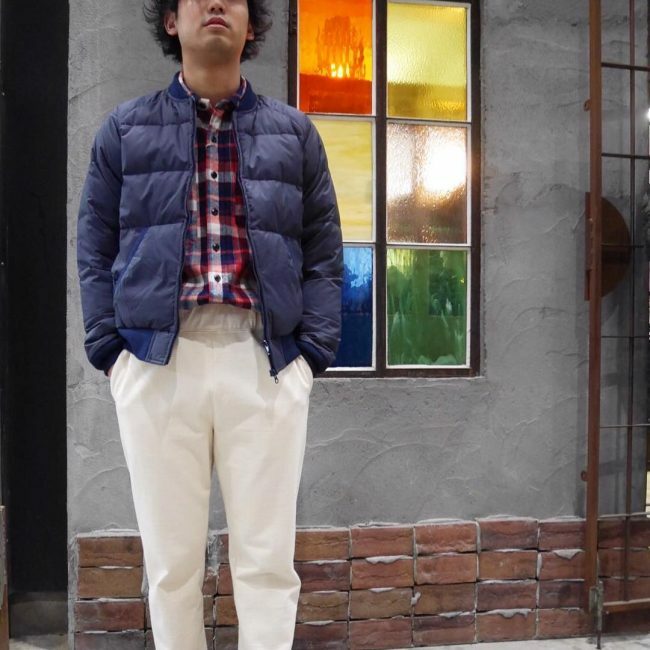 Sometimes it is necessary to do some layering to keep the cold in check, but this does not mean you should jeopardize your style. 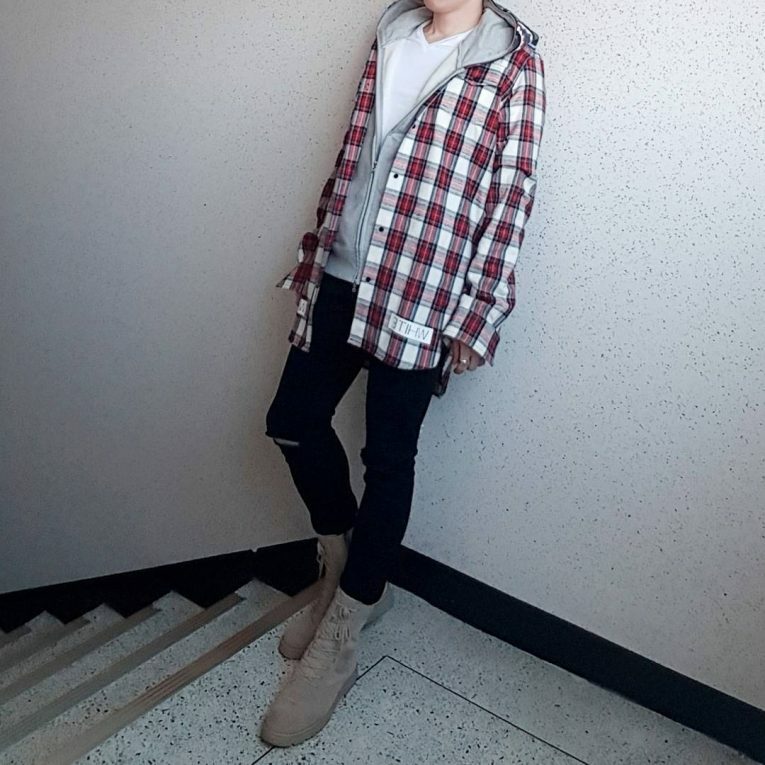 This look has fashionable layering with a hood and t-shirt below a red flannel shirt, and it pairs this with ripped black jeans and suede boots. 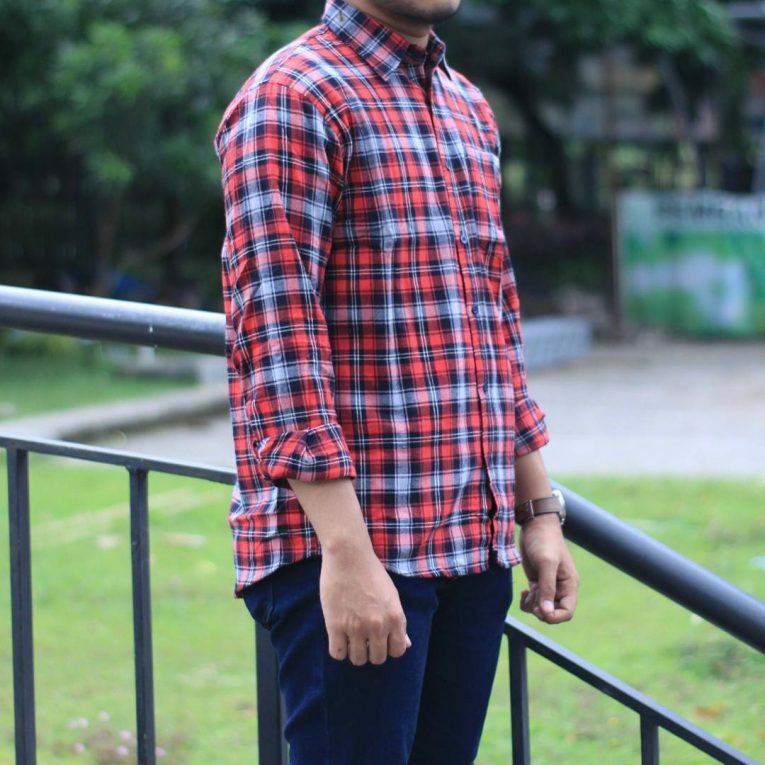 This combo consists of a button down red plaid with khaki pants and a gray t-shirt. The look finishes with some red Vans which add a modern element to the style. 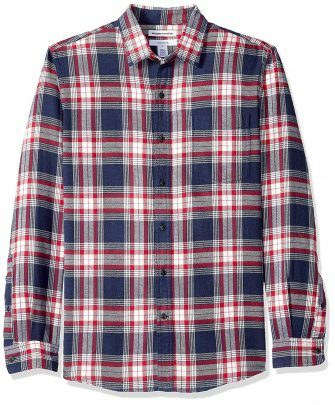 Unlike most other plaid shirts this one has some tiny boxes that create a neat and straightforward check design. It looks good when the man keeps all the buttons down and wears it with a cool t-shirt and a matching pair of jeans. 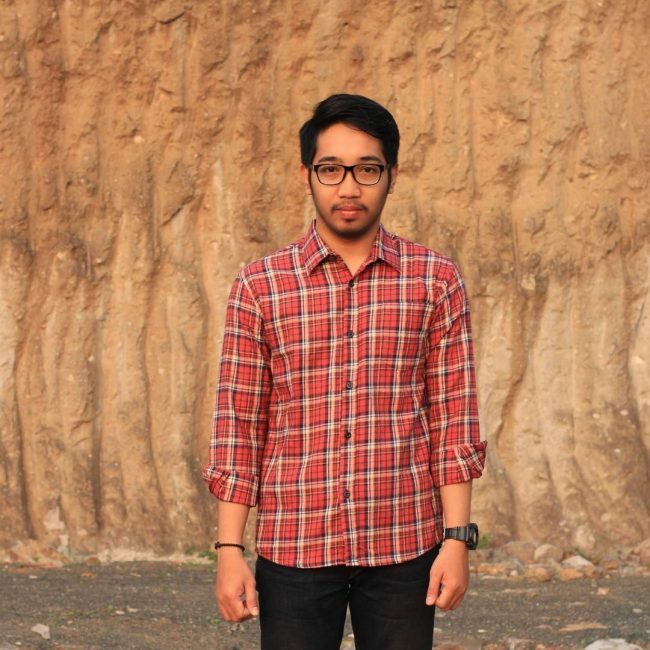 The red flannel shirt can also look good when you wear it with khaki pants like in this design. 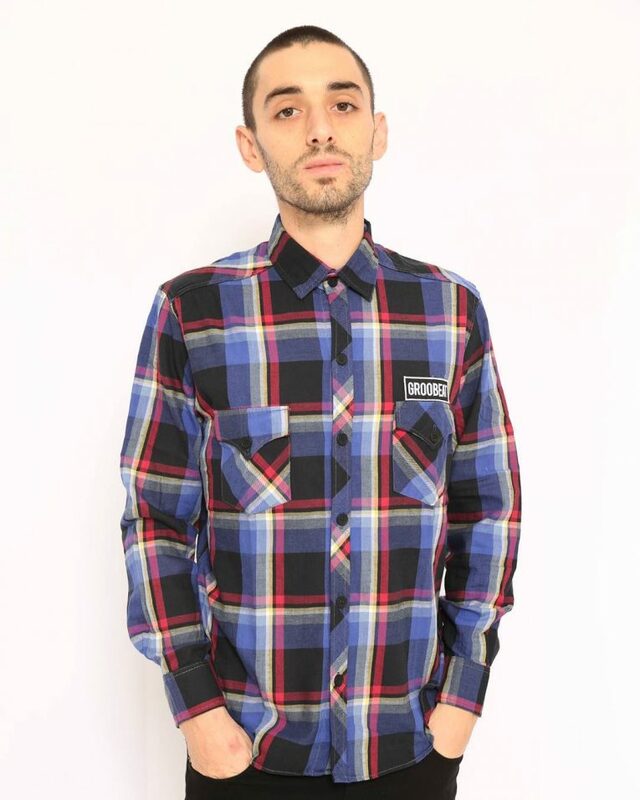 However, this shirt also has some beautiful check patterns and a few other colors that increase its versatility. If you are among the countless men that do not like to complicate their appearance, this is an excellent look for you. 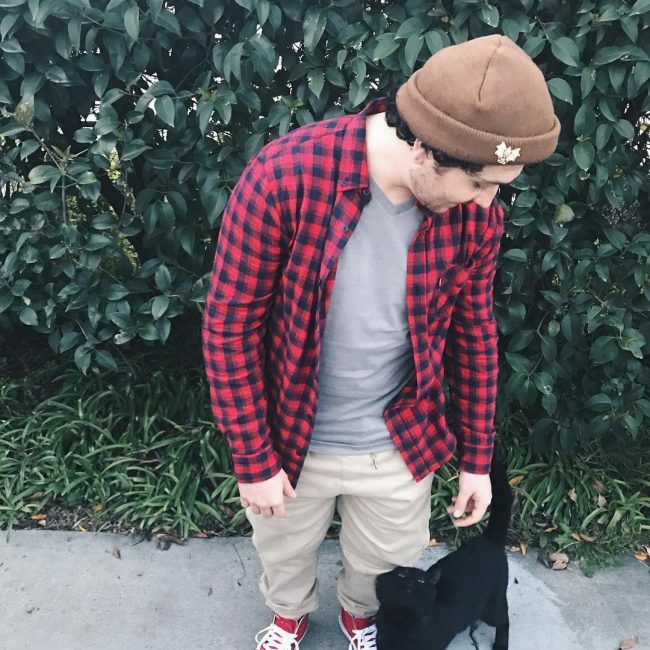 It involves wearing a red plaid shirt with some black and white lines that cross each other to create an attractive pattern and pairing it with black pants. 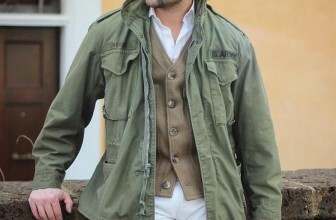 Folding the sleeves also helps to enhance the casual look. 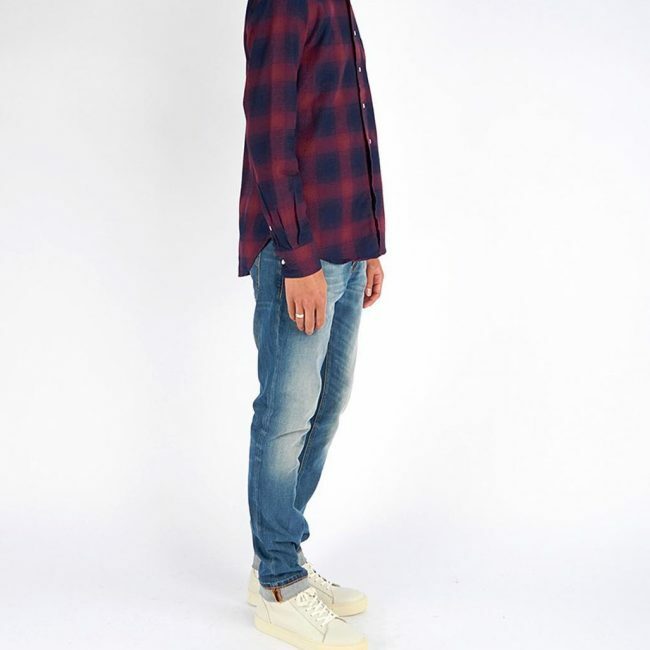 Double-faced flannel shirts like this one are very trendy, and this is because a man can wear them with almost any kind of trouser or even shorts. 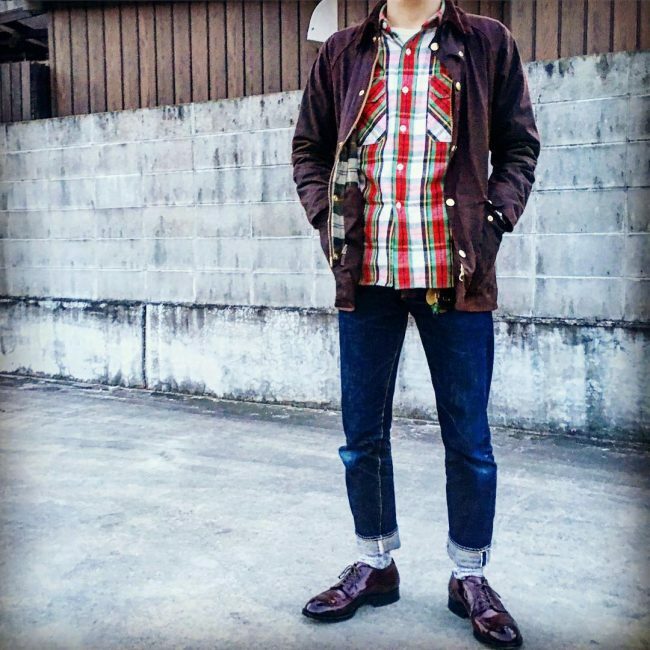 Here it combines with selvage, a stylish jacket, and some stylish dress boots to give the man a statement-making appearance. 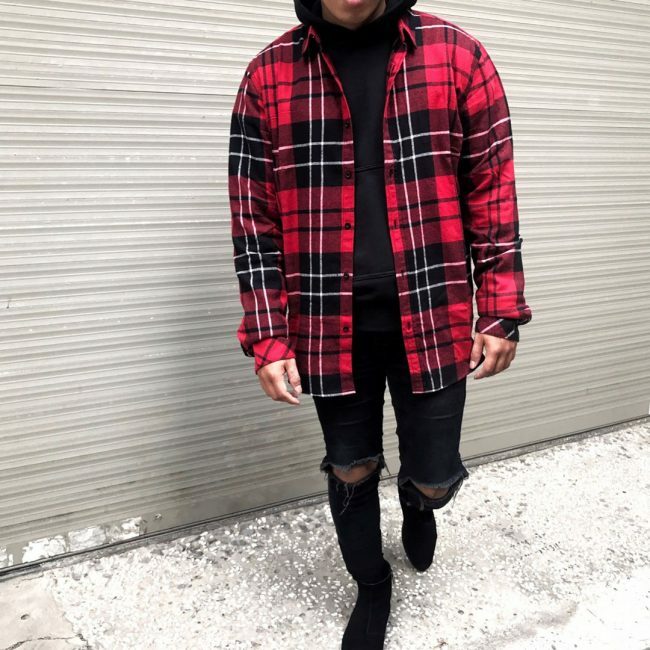 You can never have enough of the black and red flannel shirt as it always brightens a man’s appearance and makes it look chic. Its simplicity also means that you can wear it for any occasion. In this design, it pairs with simple light blue jeans to create a perfect casual appearance. A look like this will make any man the center of attraction. 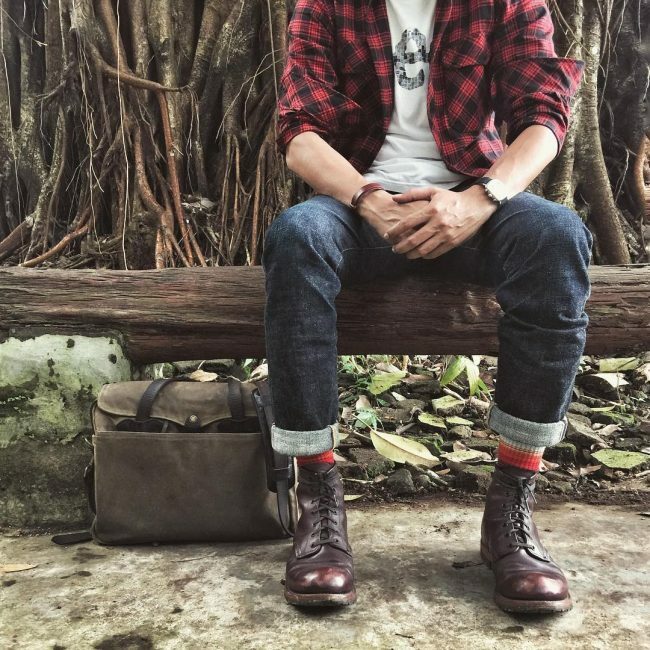 It pairs a beautiful double pocketed red and black flannel with black raw denim and some classy dark tan boots to give the gentleman an attention-grabbing outfit. 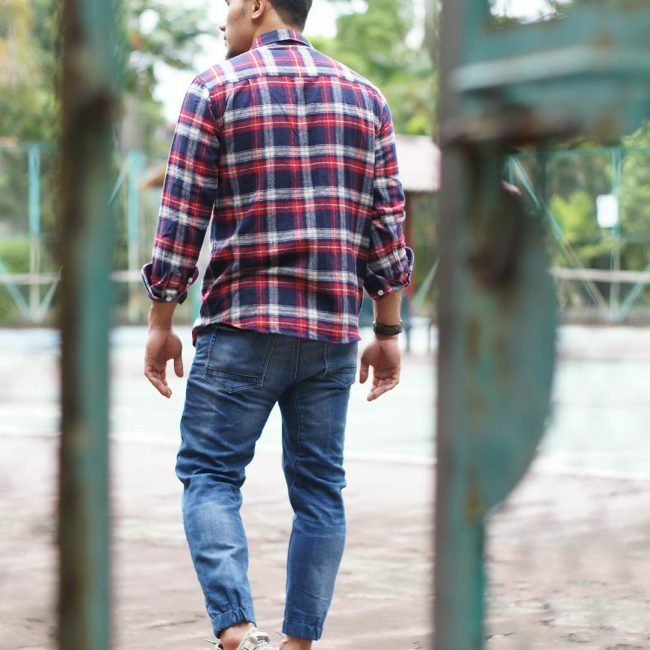 A beautiful flannel shirt can go well with anything including some jeans joggers like these. 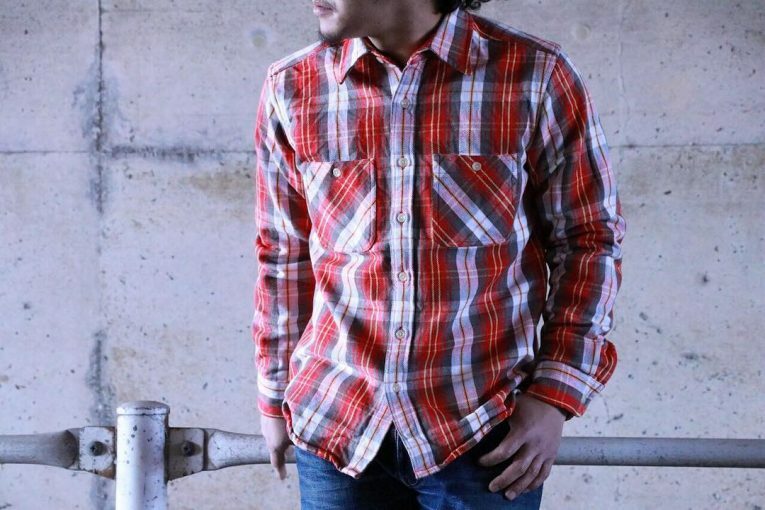 Here the shirt has three colors which are red, blue and white which intersect to form some beautiful check patterns. 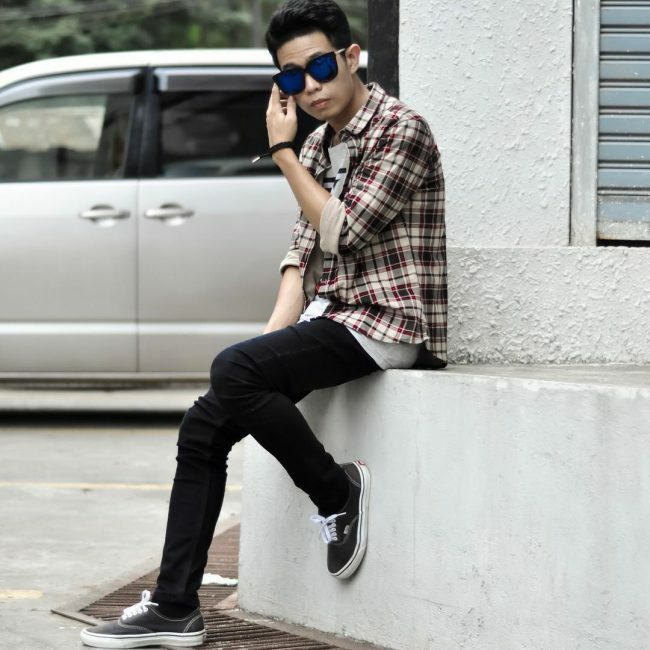 The simple sneakers also help to complement the look. 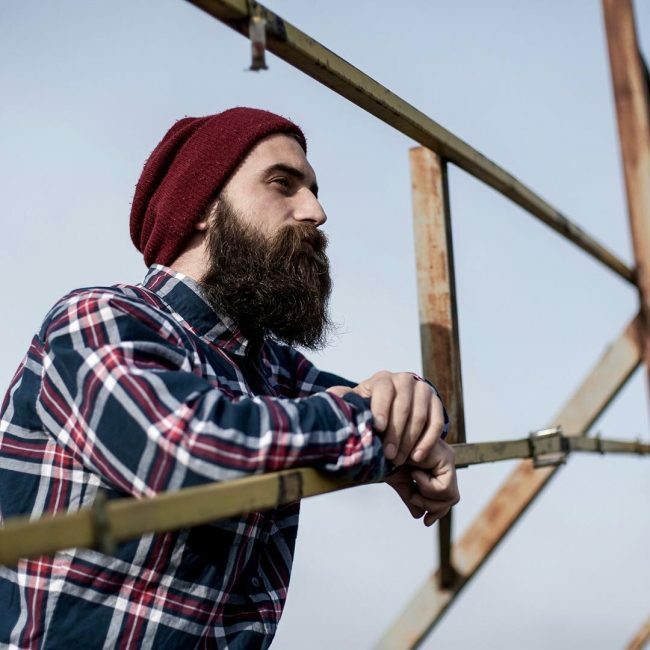 One the things that make the flannel shirt special is that it contributes to ensuring that you do not have to complicate anything for a fantastic weekend look. 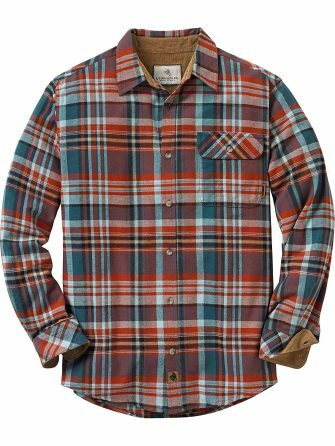 This weekend wear demonstrates this, and it only requires you to pair a red plaid with blue jeans for an impeccable appearance. 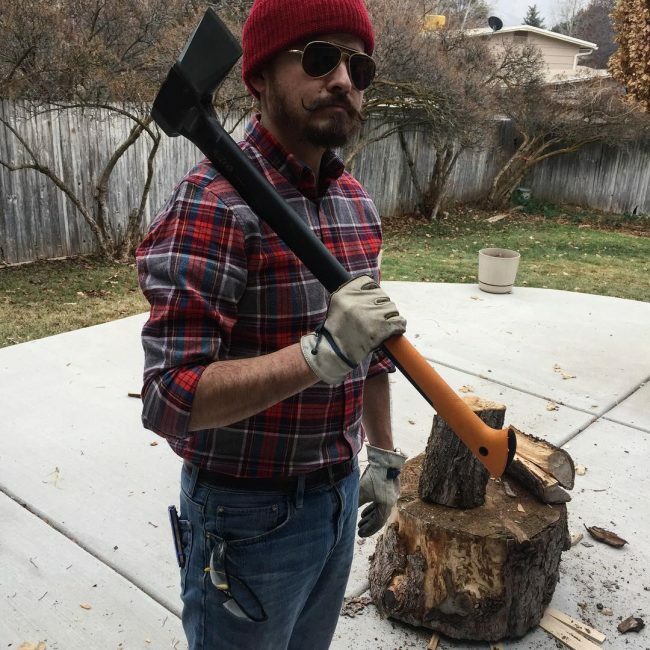 The lumberjack look is unique and fashionable and unlike in the old days you do not have to be going to the forest to pull it as it can also work as your weekend wear. 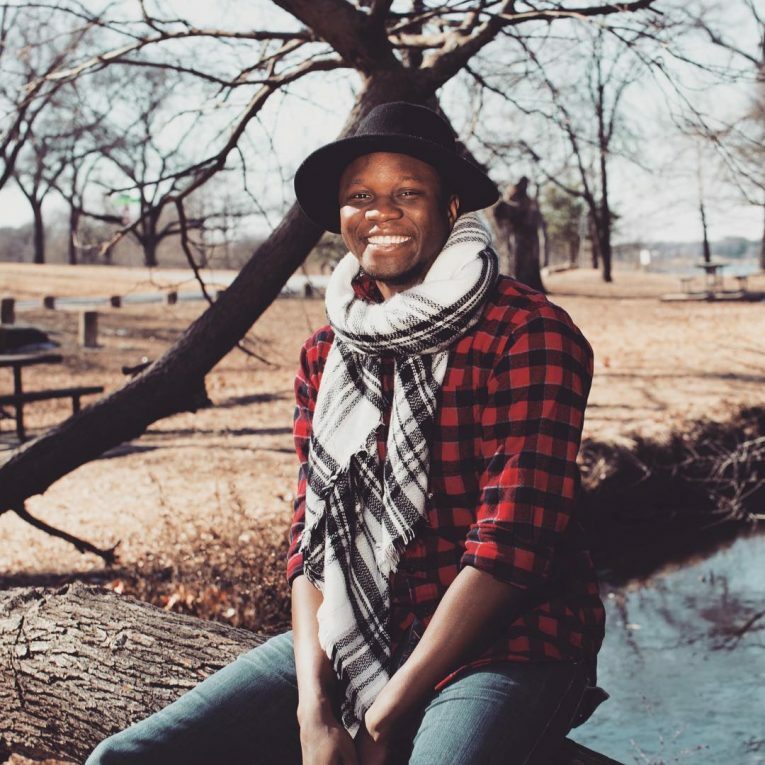 This particular one involves pairing the plaid shirt with faded jeans and accessorizing with sunglasses and a winter hat. 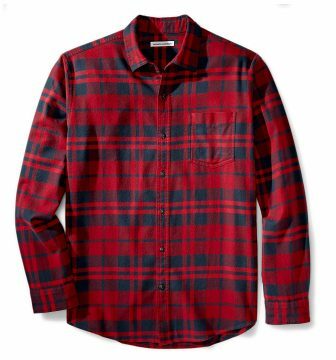 You should go out and buy a red flannel shirt if you do not have one already. And this is because the shirt will help you achieve some adorable and inspiring casual looks. If you are not confident of how to style it by any chance, the 45 pictures above will give you some ideas.